Outparcel 20C and 20D at the Tanger Outlets Savannah. 3.11 +/- acres. 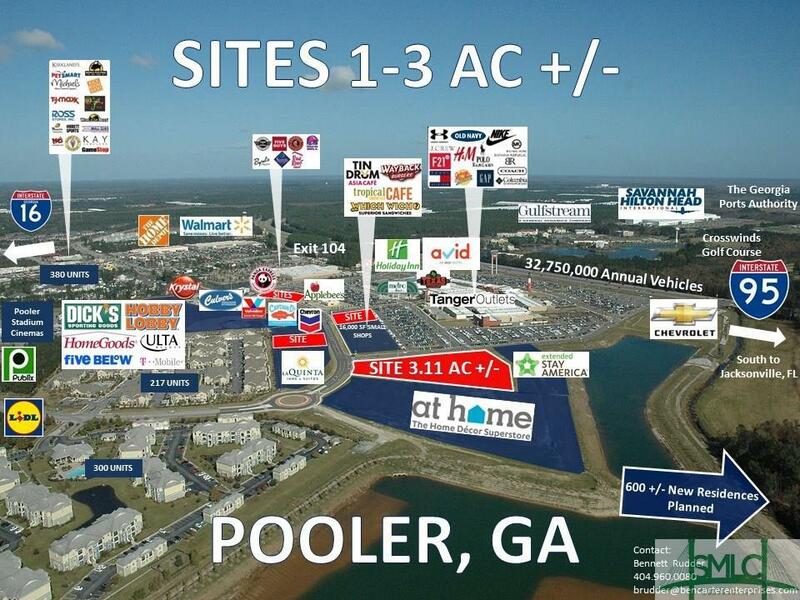 Last best large Parcel located adjacent to the Tanger Outlets Savannah mall in Pooler, GA at exit 104. Pooler is the hottest residential and retail area in the Greater Savannah Region, and this parcel offers a prime opportunity for a restaurant, retail, automotive, bank, office, entertainment or medical use adjacent to the premier retail anchor in the market. The site has been graded, compacted, utilities to the ROW. The site has offsite detention which on average affords an additional 10-12% of developable acreage. This is one of the few remaining parcels in the massive Tanger Outlets Savannah project which will encompass approximately a million square feet of density at completion.